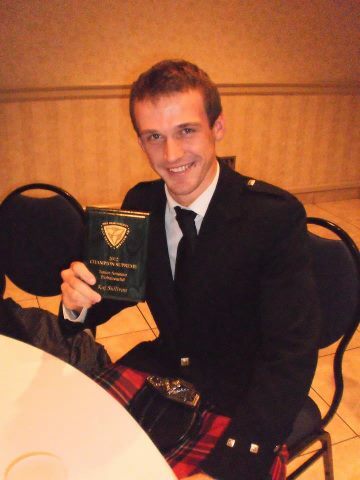 Kaj Sullivan received the 2012 Champion Supreme award for Junior Amateur Piobaireachd. The award is given to the competitor with the highest point total for placing in the Junior Amateur Piobaireachd event throughout the 2012 competition season at sanctioned PPBSO games. Kaj’s dedication and hard work have resulted in a deserved result. Congratulations Kaj!